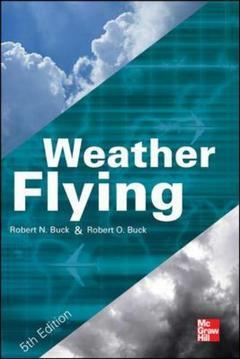 Weather Flying BUCK Robert N., BUCK Robert O.
Auteurs : BUCK Robert N., BUCK Robert O. Targeted towards general aviation pilots, but applicable for pilots of any kind--Weather Flying, Fifth Edition is the ultimate resource for understanding weather. Written in a straightforward style, the book makes complex weather concepts understandable for even the most amateur of flyers. In addition to weather theory, this practical guide covers basics of weather information, what to get, how to get it and what to do with it. Since the previous edition published in 1998, technology and policy have evolved a great deal. Computers, handheld GPS and smart devices have changed the way pilots fly. In the updated 5th edition, new author Robert O. Buck delves into these changes, discussing how to get the most out of your smart device, how to handle changes in FSS weather briefings, and how to use electronic multifunction displays as a supplement, and not a crutch. Offers a basic understanding of weather creation, in addition to the philosophy of flying in it Discusses weather information, what it is, how to get it, and how to use it Provides an overview equipment, both personal and aircraft and how to use it Explains various weather phenomena and how they affect a flight Updated with new GPS and smart technology used in weather flying. Discusses changes in FSS and weather briefing services and how to work around them. Accommodates changes in National Weather Service briefings.